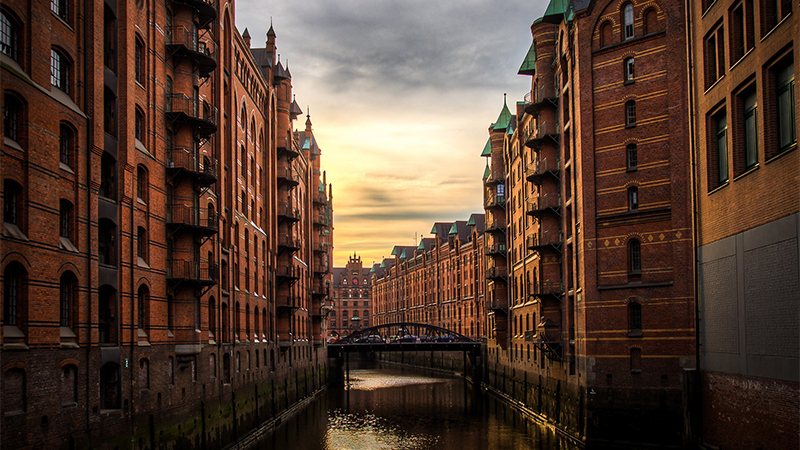 Located near the North Sea, Hamburg is known as both gateway to the world and one of Europe's most sustainable cities. Study in German at the Universität Hamburg with options for either the full year or spring semester. Smith student applications for the full-year program are due on the first Monday in February (2/04/19). Guest student applications will be accepted until the third Monday in March (3/18/19) on a space-available, rolling basis; applying by the February deadline is encouraged. Applications for the spring semester by both Smith and guest students are due by the first Monday in October (10/07/19). It is recommended that spring applicants apply early to guarantee admission. The program begins with a cultural orientation, intensive language study and excursions. Students enroll in four 4-credit courses each semester based on their language ability, including a German language course, university courses taught in German or English, and optional program courses in history and theater. Students take courses at the Smith Center in addition to courses at the Universität Hamburg and Technische Universität Hamburg with German students studying government, economics, social sciences, humanities, mathematics and sciences. For more than 50 years, the Universität Hamburg has been welcoming students studying through Smith, the only U.S. program in Hamburg. Students are required to take at least one of their courses at the Universität Hamburg. Both the year-long and spring programs begin with a four-week orientation session in Hamburg. The orientation program provides intensive language preparation, cultural courses and introductions to everyday and academic life in Hamburg. Guest lectures on the German university system, the press and politics supplement daily instruction in the German language. 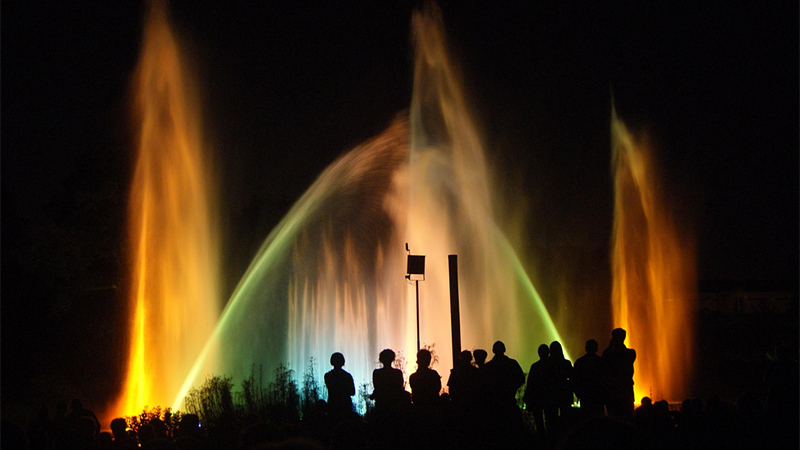 The group takes several excursions to north German towns and typically includes a four-day stay in Berlin. Scheduled events include tours of the city, visits to museums and monuments and several evenings at concerts, the opera or the theater. Students enroll in 16 credits per semester. All university courses taken in a student's major may be supplemented by tutorials arranged especially for Smith and conducted by advanced graduate students. The tutorial sessions meet two hours each week to clarify and elaborate upon the lecture material, and give you the chance to explore topics in greater depth. Students also receive writing assistance when preparing semester papers in German for university courses. The Smith Center houses the offices of the director and associate director, who provide academic advising and friendly guidance. The Smith Center is located one block from the university in the Gästehaus der Universität Hamburg and is equipped with internet and computing facilities, as well as a classroom and lounge area with a small library. This course covers the Wilhelminian Empire, the Weimar Republic and the Third Reich. For the Weimar Republic, the focus will be on the political, economic, social and cultural issues the republic was facing. For the Third Reich, we will focus on the establishment of dictatorship; the persecution of Jews; everyday life in Hitler Germany; World War II; resistance and opposition; the end of the Third Reich. This course offers an introduction to the German theater system through concentration on its historical and social roles, its economics and administration. We study the semiotics of theater and learn the technical vocabulary to describe and judge a performance. Plays will be by German authors from different periods, but will occasionally include other texts as well. The program will cover the cost of the tickets. Attendance at four or five performances is required. Building on work done in the orientation program, this course refines written and oral skills by examining everyday and academic challenges along with current topics in German media. Emphasis in class is on building practical vocabulary and mastering grammatical structures. This course builds on the written and oral skills covered in Language and Location I or the spring orientation program by exploring current cultural and social issues in Germany, particularly contemporary approaches to environmental issues. Emphasis in class is on grammatical structures and explanding vocabulary, and includes a general introduction to German academic writing. The objective of this course is to improve written and oral skills, building on work done during the orientation program or in the fall semester. Students learn to employ complex grammatical structures and expand their vocabulary while investigating current social and cultural issues. Emphasis is on academic challenges, such as composing a German term paper, and environmental challenges as discussed in German media. This course, which provides a continuation of German History and Culture from 1871 to 1945, covers the post-war period of occupation; the founding of two German states; German-German relations during the Cold War; and the re-unification of Germany. Historical analysis; reading of selected literary works; screening of films. Program participants live with German and international students in coeducational university residence halls. Located throughout the city, the halls provide students with single rooms that remain available to them during vacation periods and until the end of the academic year. The rooms are modern and the common kitchens are well equipped. Students must live in university housing; independently arranged housing is not permitted. Students receive a board stipend each month to cover their meal costs. Though students cite the numerous restaurants in Hamburg as an inexpensive alternative to cooking, many students enjoy preparing their meals in shared kitchen facilities in their residence halls. Centrally located student cafeterias also provide reasonably priced meal options. Upon arrival to the program students will receive approximately 50 Euros to use to purchase a German cell phone or SIM card. Landlines are not provided in residence halls, but can be installed. Students are responsible for all associated charges. The Hamburg program incorporates a wide range of activities, from guided trips to historic and cultural locations, to group events like Tea Hours and the annual Thanksgiving Dinner with program staff and faculty. Students also join activities at the University, including music, theater and sports, and enjoy the restaurants, clubs and cafés in Hamburg, a modern European city. Boat tour of the harbor; day trips to medieval Lübeck or Lüneburg; several nights in Berlin during Orientation. Architectural tour of the city, concerts in the Laeiszhalle or in the Elbphilharmonie, theater and opera performances, and visits to museums. Soccer matches, annual marathons, canoe tours on canals or the Alster, bicycle tours to the Alte Land during cherry blossom time. Please be sure you meet Smith College's eligibility requirements for approval to study abroad. In addition, Smith in Hamburg has its own program-specific requirements. Two years or the equivalent of college-level German, normally four 4-credit courses, of which one should be taken in the spring semester preceding study abroad. At least three semesters of college-level German or the equivalent prior to the start of the program. It is recommended that the third semester of German language be taken in the fall semester preceding study abroad. The German government requires students to obtain a Residence Permit (Aufenthaltsgenehmigung) after arrival in Hamburg. During the first meeting of the orientation program, the director and associate director will help students complete the necessary paperwork. A student who enters Germany prior to the official start date of the program may be responsible for obtaining a residence permit herself. Permits normally include permission to work part-time during the semester and full-time during semester vacation. Citizens of other nations are required to apply for and receive a residence permit (Aufenthaltsgenehmigung) through the German Consulate in Boston prior to arrival in Germany. Students should research visa application requirements online and contact the Office for International Study for supporting documentation. For resources and information about the German visa application process, please visit the Hamburg Accepted Students website.